Our aim is to be your one-stop clearinghouse for information and resources related to Coaching, Mentoring, Personal and Professional Development. Each week we will provide articles, videos, audios, book reviews, and other resources which you can use to COACH YOURSELF to greater success – or to use as resources in your own coaching or mentoring business. This site is all about success…YOUR success. We want to stay connected to you via email by inviting you to join the All About Success Ezine List. We have found a great premium gift if you will allow us to do so. If you join our All About Success list (the subscribe form is just to your right) you will receive a free copy of the following ebook for immediate download. Please join the “All About Success” contact list (the subscribe form is just to your right). You will be sent an email to confirm your request in mere moments (if you don’t see it within a few minutes, please check your trash file and make sure you white-list our email for the future). 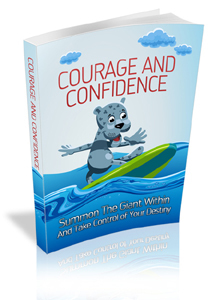 Once we have received confirmation of your desire to subscribe (a confirmation link will be in our initial mailing) you will get a message from us with a link to download your free copy of “Courage and Confidence.” Then, from time to time, we will send you information, tools, and products that we believe will help you enjoy a more productive and success life. Of course, you will be able to end your subscription at any times. Instruction to do so will be in each email. Complete the form to your right NOW to join the All About Success Ezine List. All About Success only recommend products and information that we own or have otherwise personally checked out ourselves . For doing so we may receive compensation. The information on this website is opinion, based on personal research and experience. Please understand that NO coaching or personal development resource is perfect. This includes the resources found on All About Success. In fact, some of the resources on All About Success might contain ideas to which we might not fully subscribe. You, also, may find that some of the resources and information on All About Success are not in full agreement with your philosophical, sociological, political, or theological convictions. We will not imply otherwise . only that we have found these resources useful. That, and it is our personal conviction that an educated person is one who is exposed to a wide range of thoughts and opinions, even those with which he or she might not fully agree with. All that said, MANY (though not all) of the resources reviewed on this All About Success will approach coaching and personal development from a decidedly grace oriented Christian perspective. No apologies are made for that. I am a Christian pastor by profession and those whom I coach generally share this same conviction. And just in case you were looking for a quick fix to your life (or any other kind of FIX) understand that this is NOT the aim of this site. There is NO level of personal, professional,healthy, or financial success is guaranteed or even implied at All About Success. Results are unique. Your results will vary. Always consult a qualified professionals when making decisions related to your health, finances, or professional behavior.